just a few more days to get in on early bird pricing! Hey friends, there is just a couple more days left to get in on the early bird price for my next online class Watercolor Mandalas! $15.00 $10.00 Early Bird SALE! Creating mandalas is one of my favorite ways to get lost in the process of creating. In this class we will be making use of a brush and watercolors to create mandalas. 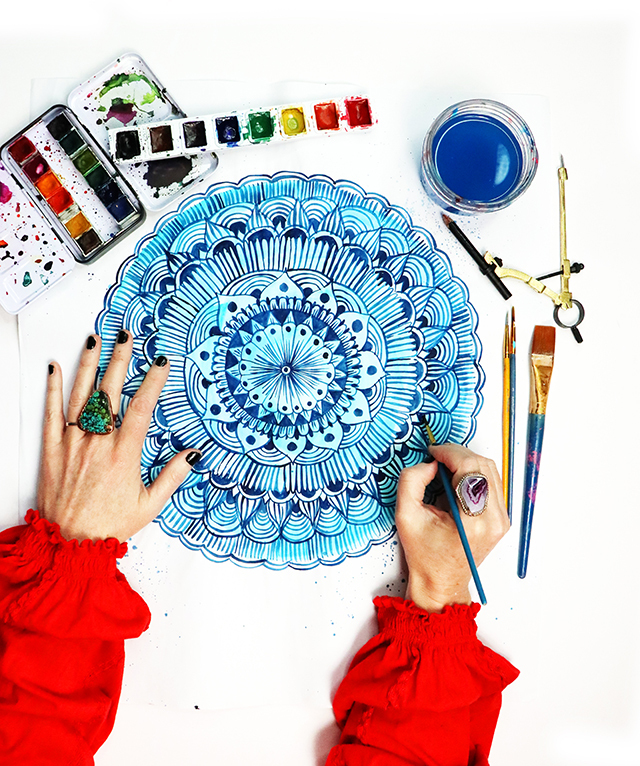 I will be sharing a variety of simple, colorful and creative techniques that will take those mandalas to the next level!